The award winning Panton chair was first presented in 1967 by the influential Danish designer Verner Panton. His vision was to create a comfortable chair made in one piece that could be used anywhere. Its famous ‘S’ style shape was an icon of its time as it still is today. Created in an array of colours, this design classic is going nowhere anytime soon. 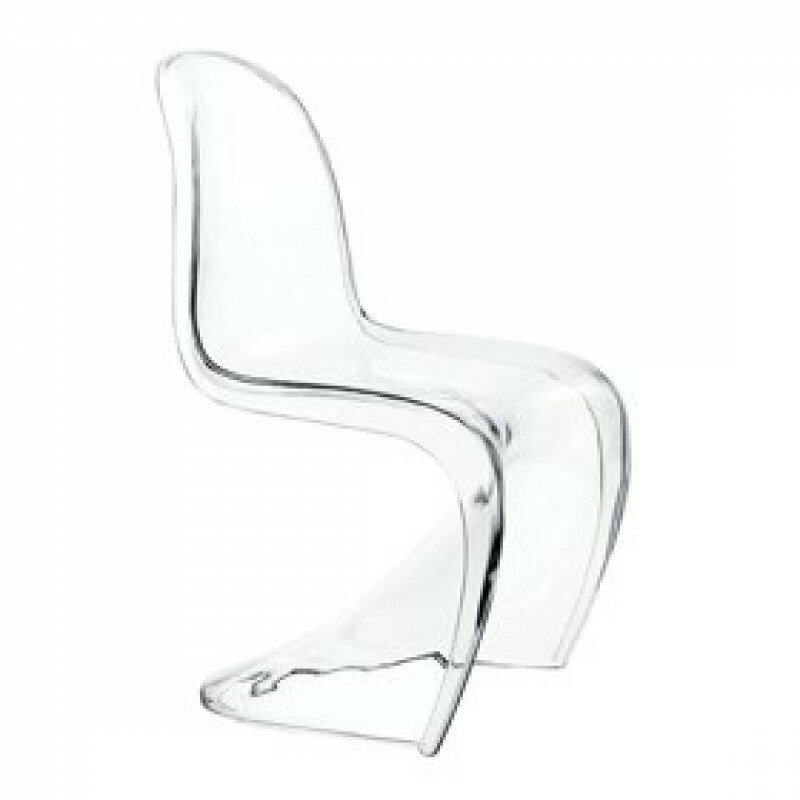 Our transparent Panton chair is an exact replica of the 60’s design. With its stunning curved polypropylene seat we believe this is one of our most versatile seating options. Perfect for banquets, conferences and exhibitions – they can be mix and matched to suit your theme creating an unlimited amount of colour combinations. Pair with our funky dining chairs or coffee tables to complete the look.